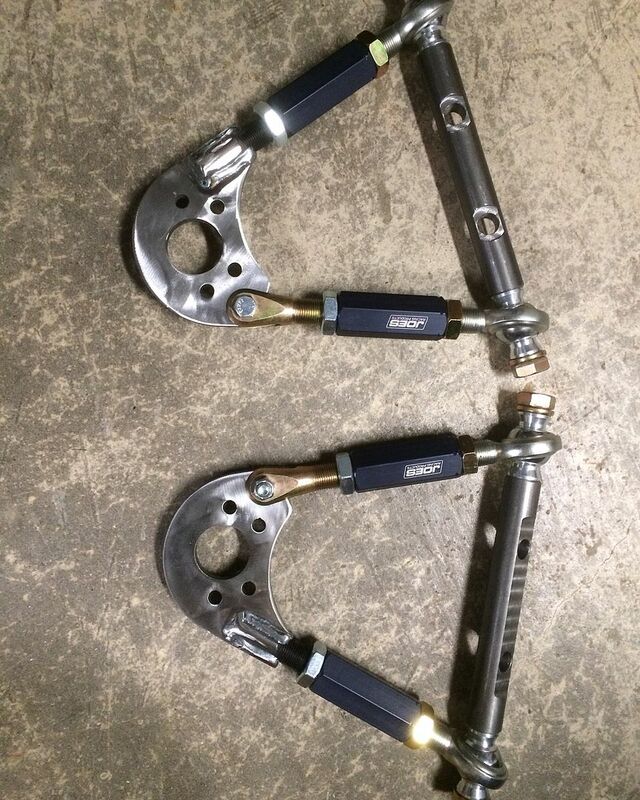 As requested, here are the pics for the fully adjustable upper control arms for the 520/521/620 which allow you to swap over to ball joint suspension and adjust camber on the fly. These have a full 1" of camber adjustment built in. The first set are going out to a guy in Cali on monday for real worl testing, and he's the one who requested these, so I will post pics once he's installed them. These are going to be $250 shipped, and in the future I will supply the cross rods as well. i have a set of these, where can i get the cross rods? You don't have the adjustable ones, they are sitting in my garage now. Cross rods are a junkyard job. Find a pre-'84 truck with ball joints and take the upper arms, press out shafts and install on my arms. correct, i dont have the adjustable (slotted) ones. some new ones for cheap, aha. Im the guy bought from you the upper arms from Mexico, and i received them they are great, i got some lower suspension arms from 85 720, the only trouble i have is with the torsion bar screws the ones with dents that keep connected with torsion suspension bars, the 73 original torsion bar screws are short for the 720 lower arms. Any advice to modify it? i planned to ask to a CNC shop to make them in correct lenght , new ones but im affraid of the metal alloy and they break. So much thanks for any advice. Here's the most recent revision of these.